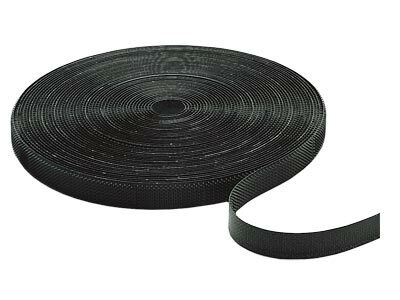 75 Foot 3/4" Velcro Roll, cut to any size you desire. Secure bundles by simply wrapping the straps around overlapping the ends. Double-sided Velcro allows you to cut custom-length Velcro rings to wrap unsightly cables together. Cable Management is much easier with this Velcro tie roll. Easy Cable Management for network wiring.